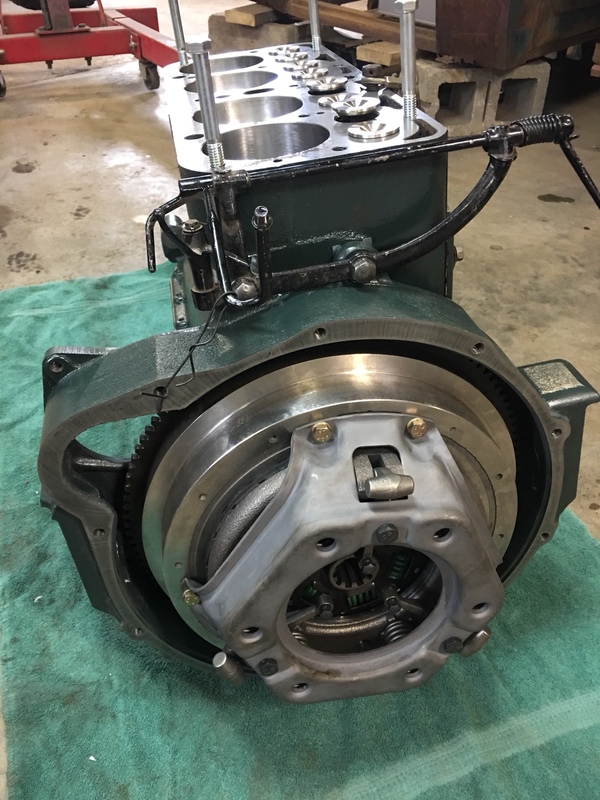 Just picked up my lightened flywheel assembly from south bend clutch. What a fantastic job. 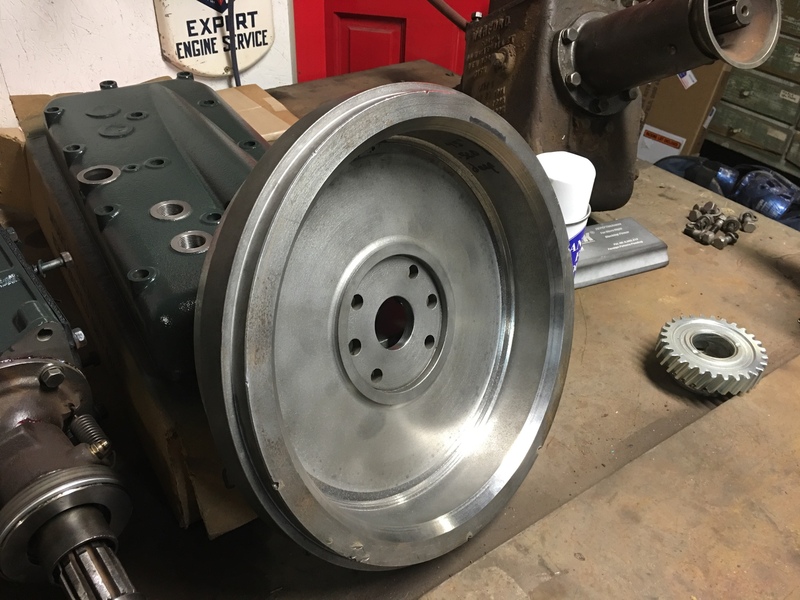 Lightened to 42 lbs, drilled and tapped for V-8 clutch, and balanced it for 150.00. Pressure plate brand new was 80.00 with a new ring gear at 23.00. This was way cheaper than any supply house and I saved on shipping heavy flywheel both ways. 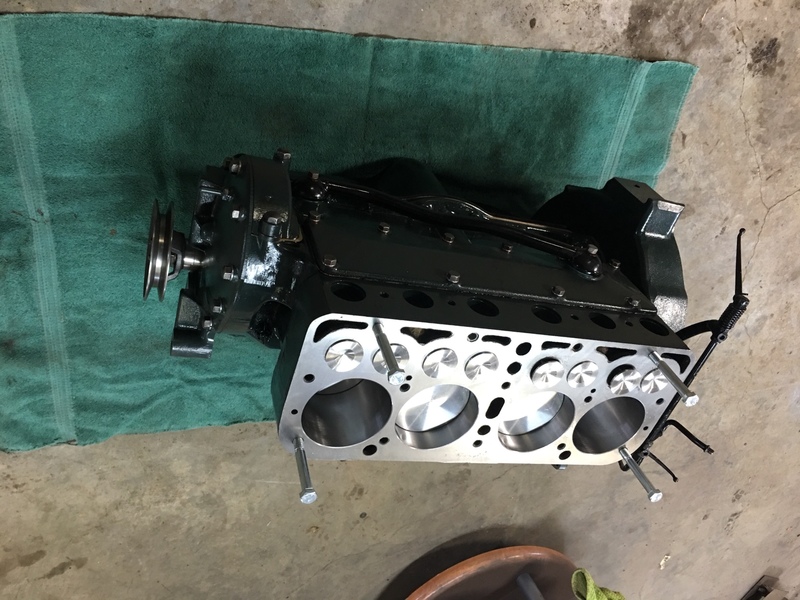 My short block is ready to be put together with new insert bearings and modern seals. Bigger SS intake valves and Snyder 6.1 head should give me 50 HP. Getting it together. 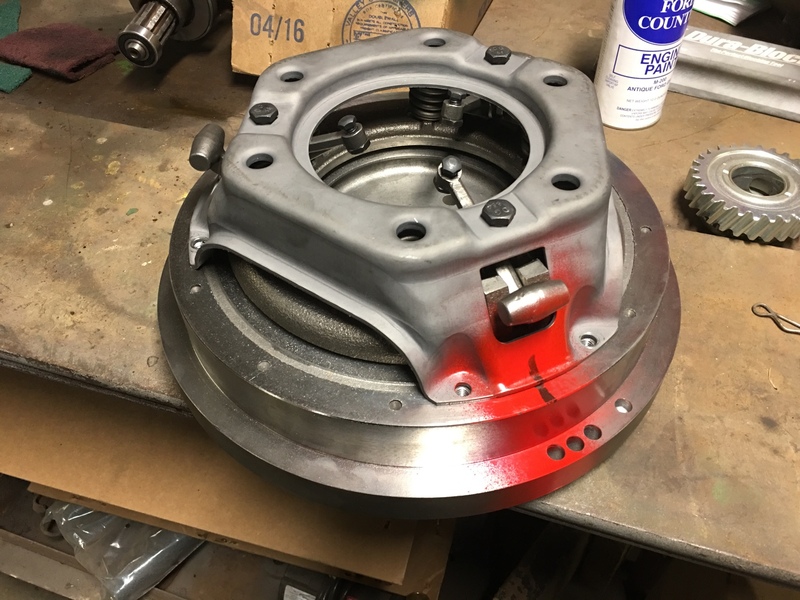 I was able to shim the flywheel housing to .003 (.006 max allowed) and runout on flywheel is .002 (.005 max allowed). i am hoping to get it in the truck next week. Weather is getting nicer and I need to get the truck back together.